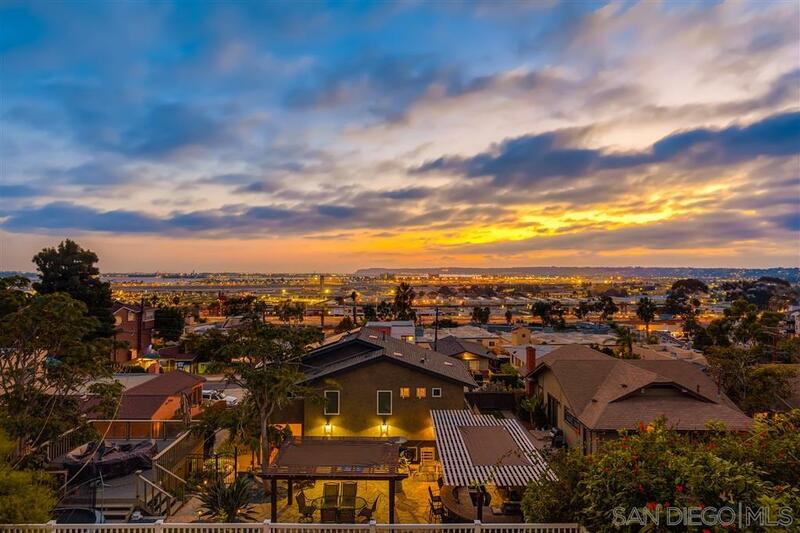 Enjoy breathtaking views of the bay and city all year long in this upgraded Mission Hills condo. As an added bonus, there is an additional studio and full bathroom downstairs (approx. 200 sq. ft.) - perfect for guests, work, play or art studio. Relax and unwind on the spacious balcony that offers gorgeous views day and night. The main level features 2 bedrooms and a bathroom, gas fireplace and a light and bright open floor plan. The common backyard provides additional outdoor living space., Close access to Mission Hill restaurants and shopping. This is a must see!